INE LIZZY AJU popularly known as INE, is a talented young female artist that hails from Ogoja in Cross-river state Nigeria. 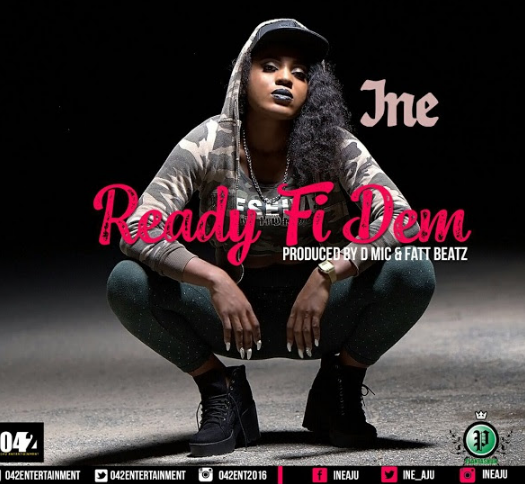 INE flaunts her versatility in this Dancehall single titled READY FI DEM. A song that explains not just her readiness for the industry but the world in general. She is saying she’s ready to face obstacles that are ahead in the life and sure to overcome!!! Despite her educational pursuit, Ine started her career in music at a very tender age. 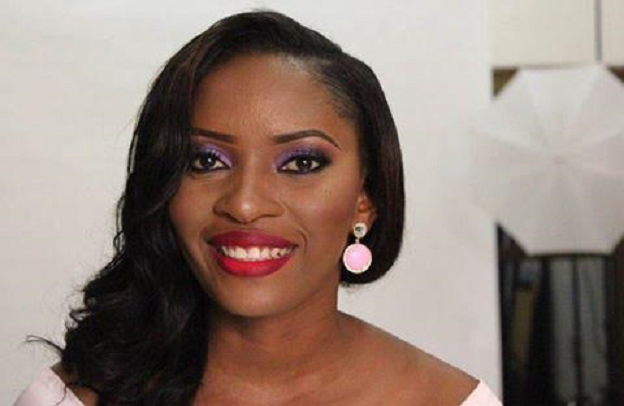 She obtained a diploma in Law at the University of Benue state and holds a B.Sc in Political Science at the National Open University of Nigeria. READY FI DEM is a song that will easily gain popularity in the clubs for its upbeat dancehall flavour, It is produced by FATT BEAT, D MIKE & DA PLANTASHUN. INE is being handled by entertainment industry gurus; OWOYEMI ‘NATZ’ NATHANIEL & IFEANYI ‘ODOGWU’ OJI alongside DON KEN of 042 Entertainment. She is managed by PLANTASHUN ENTERTAINMENT and recently got singed to 042 ENTERTAINMENT. 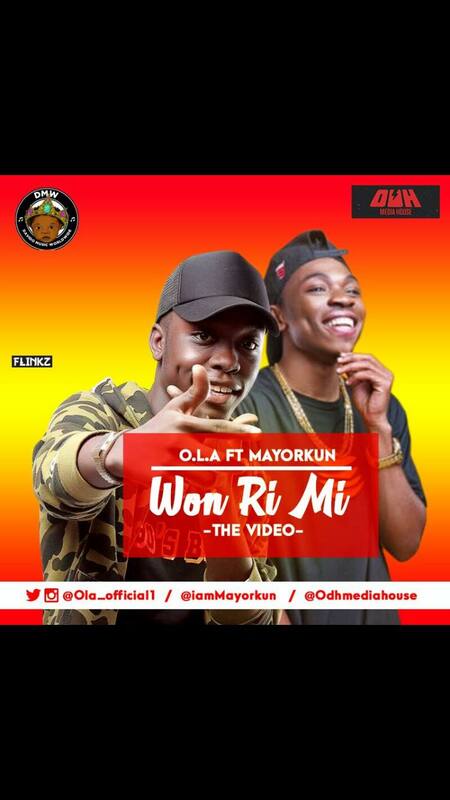 The raved 16 year old whiz-kid- Olaolu Salami also known as O.L.A returns with his second video – Won Ri Mi; teaming up with one of 2016’s breakout stars – Mayorkun. He believes he is the Nigerian Justin Bieber. This track was produced by M60 and the video was shot by Bryan Dike (Paw Printz Production). This track was produced by M60 and the video was shot by Bryan Dike (Paw Printz Production). 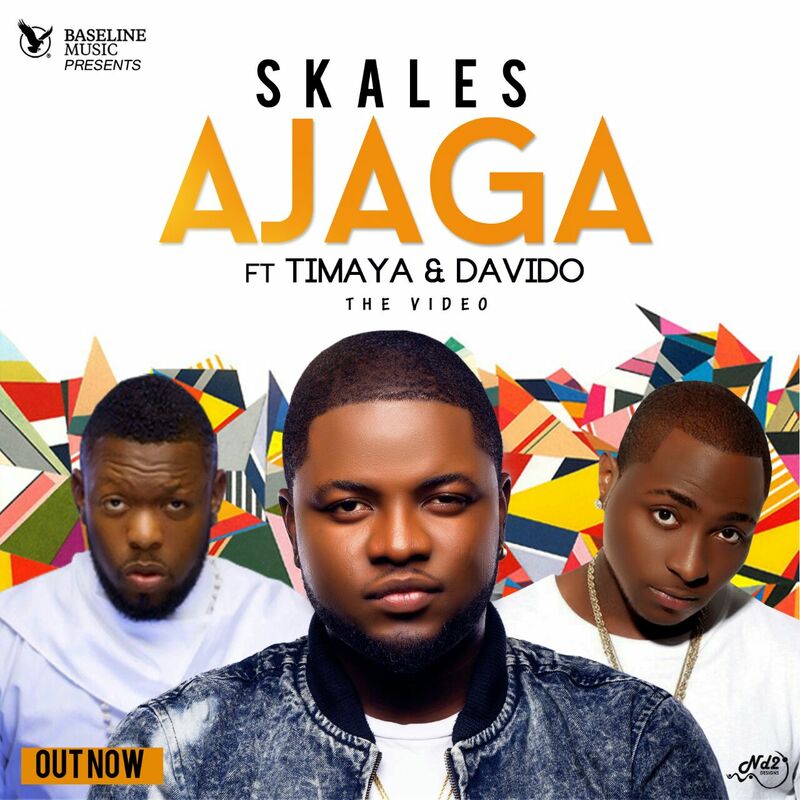 Afro-pop sensation Skales has released the highly anticipated video to his smash hit ‘Ajaga’ featuring DMW boss Davido and Egberi Papa 1 Timaya today; 24th of February, 2017. Fresh off his most recent visual “Eko Miami”, Maleek Berry promised his fans a new video once it clocked 1 Million views in under a month. The fast rising Producer/Artist sticks to his word keeps the momentum going with the release of the VISUALS for his infectious party anthem “4 Me”. With the audio already making waves after being playlisted on BBC 1xtra and OVO Sound Radio, this visual is sure to take the new sound of Africa to the rest of the world. The dark, yet colourful video was shot in Lagos, Nigeria & directed by Ulimited LA. Here’s the official video to the premiered single by B Red just a month ago. 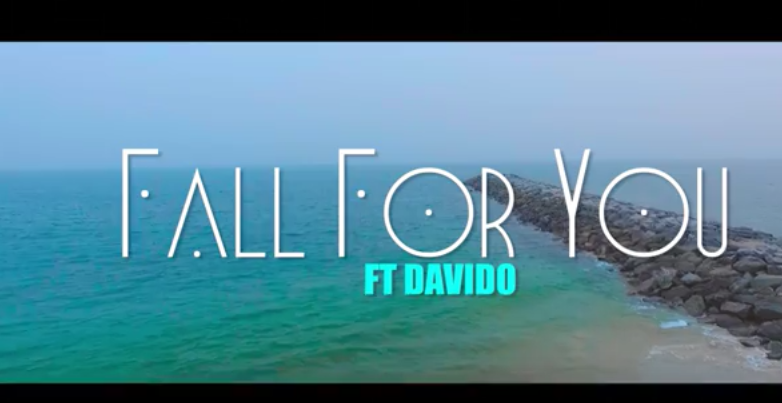 The banging tune, ‘Fall For You‘ featuring Davido was directed by Stanz visuals. 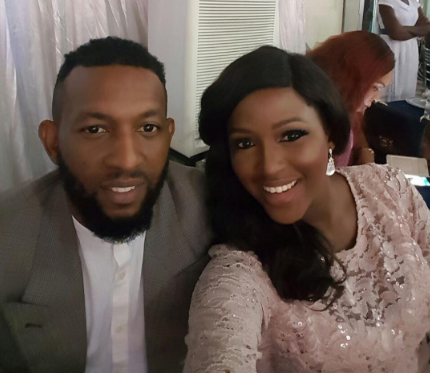 Beautiful wife of gospel artiste, Eric Arubayi, Chinonso, this morning reposted a song done for by her husband who passed away on February 11 and captioned it "My Husband is not dead.... @ericarubayi is alive. Thanks for the show of love and support". May God be with her in this trying time. 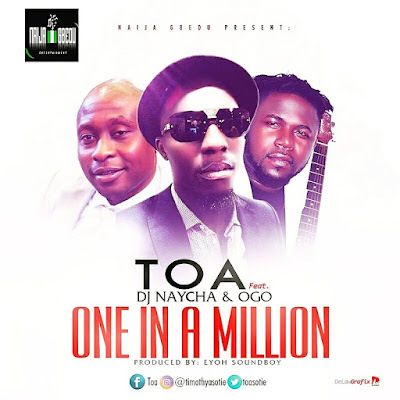 THE MOST WANTED SONG IS FINALLY OUT ONE IN A MILLION is a great love song coming from Award Winning Artists; TOA a.k.a T-BABA from Nigeria, DJ NAYCHA from Ghana, and OGO from Gabon. They decided to come together and make this happen for their fans to enjoy. Gabby, who is no longer a new face in the Nigerian/European entertainment music industry, the (Dorothy) and the (Chop The Money) crooner, releases his first single for 2017 and it’s sure going to be a blog buster. 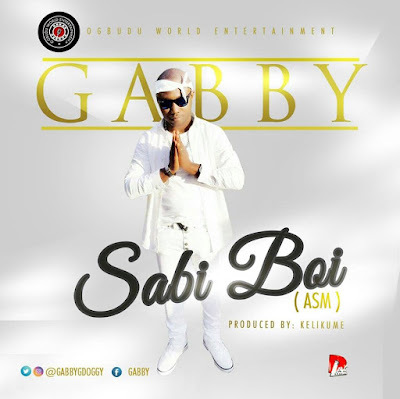 (SABI BOI) as the song is titled is a demostration of the versatility of your boy and to prove that the brand (Gabby) is here to stay. The Ogbudu World only male artist, who is slating the official release of his first studio album, #ASIB (A Star Is Born) da album on the 16/07/2017, promises to rock your speakers and the airwaves for a very long time, with this Kelikume’s produced hit. The Nigeria Football Federation has revealed that the board of the football body has given it's president, Amaju Pinnick the freedom to use his discretion and vote whoever he feels will carry Nigeria's interests in the upcoming CAF Presidential elections. The elections, which will take place in 3 weeks time after the 39th Ordinary Congress of CAF in Addis Ababa, Ethiopia, will see Africa's football ruling body, CAF, given a new leadership, and the Chairman of the Media and Publicity Committee of the Nigeria Football Federation, Hon. Suleiman Yahaya-Kwande on Thursday cleared the air on the Federation’s mandate to its President, Amaju. “The issue of which of the two candidates the NFF should support came up during our last Board meeting in Abuja, on Tuesday 7th February 2017. 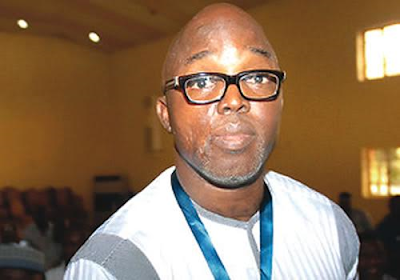 Every single member of Board spoke on the issue and expressed support for the NFF President, Mr. Amaju Melvin Pinnick, to use his discretion and vote for that candidate who will best serve Nigeria’s interest during the election. This support was given based on the fact as the NFF President and a Member of the CAF Organizing Committee for the Africa Cup of Nations, he is fully in tune with the political play at that level and knows what would be best for Nigeria. “The Board spent good time discussing the CAF elections and the importance of Nigeria having someone on the CAF Executive Committee, considering the huge role that our nation has always been playing in peace –keeping and sundry noble programs on the continent. With President Muhammadu Buhari's lawyer's ₦500,000 'gift' to Justice Adeniyi Ademola while the certificate case was being tried before that judge and with the Secretary to the Government of the Federation's Grasscuttergate scandal, can we all stop pretending and accept that the anti corruption war is dead? I believe I now know the reason why God allowed President Buhari to come back to power. It was to expose him for who he really is. Not a saint, but a hypocrite!A hypocrite of the highest order. A so called anti corruption crusader who writes letters to cover his corrupt Secretary to the Government of the Federation and whose lawyer gives gifts to a justice that is being tried for collecting gifts from others. Do as I say, not as I do! Things were already bad enough until the President's spokesman released his statement trying to justify the 'gift'! When Femi Adesina, President Muhammadu Buhari's spokesman, says PMB's lawyers ₦500,000 payment to Justice Ademola was a 'gift' not a bribe he must think that Nigerians are on the bottom of the ladder in the rational thinking food chain! So if I take a bribe and call it a 'gift', according to Femi Adesina, it automatically transforms from corruption to 'gift'? So President Buhari believes in the Transformation Agenda after all! Who would have thought so! So why can President Buhari's lawyer give gifts but Andrew Yakubu cannot accept 'gift'? The Economic and Financial Crimes Commission should just release everybody they are trying because they took 'gifts' not bribe. After all, President Buhari and his lawyer have shown us the way! The Justice Ademola that is currently being tried is accused of taking bribes because people gave him gifts. So why were their gifts proceeds of corruption and Lawyer Awodein's (Buhari's lawyer) a proceed of friendship? persuade (someone) to act in one's favor, typically illegally or dishonestly, by a gift of money or other inducement. Now if you consider the favorable way the certificate case against the President has being going for him in the matter before Justice Ademola, you may be forgiven if you quote Proverbs 18:14 and say "a man's gift makes room for him". With all apologies to the publishers of the Oxford English Dictionary let me say that they have to alter the meanings of some words in their dictionary. 1. New word for BRIBE as approved by the current President Muhammadu Buhari led Nigerian government for exclusive use of All Progressive Congress members. And while we are at it, I am feeling some generosity to my readers. If any of my readers will like a GIFT, then they should send me an email. But if they would prefer a BRIBE, then they should send me a hand written letter instead. If you as my reader does not know the difference, then contact President Muhammadu Buhari's lawyer! Everybody gives gifts but some gifts are more equal than others. For tips on giving EFCC approved gifts, see President Buhari's lawyer! The DEODORANT has been sprayed on Lawyer Awodein and the INSECTICIDE is being sprayed on Justice Ademola. Now I understand Shehu Sani! But this President Muhammadu Buhari knows how to code better than Mark Zuckerberg! Look at the code word his team used for the payment made to Justice Ademola. The 'gift'! I am tempted to ask what else they have coded? Is the 2017 budget codedly (I invented the word codedly since we are all making edits to the Oxford English Dictionary) padded? Have they coded INEC to produce only inconclusive elections? Is Babachir's grass cutting contract a means to get more resources to provide future coded gifts? In fact, I am reliably informed that APC members give GIFT while PDP members give BRIBE but if you were once a Peoples Democratic Party member and you are now in the APC you give GIFTED BRIBE! Now we understand why Rotimi Ameachi said he never gave nor received bribes. 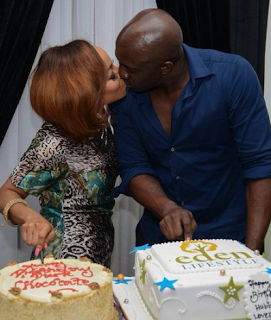 As an APC member, maybe he gave and received 'gifts'. After all, there is nothing wrong with that! Our leader has shown us the way! And President Buhari is not the only hypocrite in town. His mini me, Nasir Elrufai, the unofficial Vice President and Khalifa of the Buhari personality cult is as hypocritical as they come. Many Nigerians were shocked to find out that Malam Nasir Elrufai, the Governor of Kaduna state, instigated the arrest of Audu Maikori, Nigeria's version of Jay Z and the CEO of Chocolate City, a man who has made many stars including Africa's number one rapper, MI Abaga. 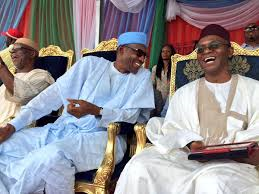 What is Maikori's crime in Elrufai's eyes? That he erroneously tweeted false information that he had been by his driver who misled him for the purpose of obtaining financial favours from him. When Maikori realized he had been duped, he immediately apologized. But that was not enough for his Governor. He was accused of incitement because of his tweets! But the thing is that the Elrufai that is now so sanctimonious is actually by far guiltier than Audu Maikori in what he accuses him of. In fact, Elrufai is the grandfather of making false an inviting comments on Twitter and other social media platforms and I will prove it. On November 25, 2014, Nasir El-Rufai, the current Governor of Kaduna State, in a tweet questioned whether then President Goodluck Jonathan was traveling to Chad to plot attacks with the Chadian President. On September 8, 2014 Elrufai, via a tweet accused then President Jonathan of funding Christians who masquerade as Boko Haram and accused the then President of the Christian Association of Nigeria, Pastor Ayo Oritsejafor of being the commander of the so called Christian Boko Haram. On the same day he also tweeted that pastor Ayo had been paid ₦50 billion and a jet for the purpose of his Christian Boko Haram whose purpose was to "tarnish the name of Islam". On July 24, 2014 Elrufai, via another tweet, accused then President Jonathan of meeting with his terrorists from Nasarawa state. On January 2, 2014, Elrufai alleged that he was number 6 on a list of politicians to be assassinated by then President Jonathan. He also claimed that the current President, Muhammadu Buhari, Asiwaju Bola Ahmed Tinubu and Rotimi Amaechi was on that list. On November 9, 2013, as then President knelt praying to his God, Elrufai tweeted a picture of the President and said (and I quote) "many prayers of the lazy, docile, incompetent, clueless, hopeless, useless leader!" "We will write this for all to read. Anyone, soldier or not that kills the Fulani takes a loan repayable one day no matter how long it takes." “If Jesus criticises Jonathan’s government, Maku, Abati or Okupe will say that he slept with Mary Magdalene”. “This is the APC/PMB change we voted for. Independence anniversary expenditure for the past five years: 2011 – N13bn; 2012 -N15bn; 2013 – N14bn; 2014 – N22bn; 2015 N70 million"
Well, a Freedom of Information request was made by activists to the Office of the Secretary to the Government of the Federation and even though this administration hates the guts of former President Jonathan, they were forced to admit that Nasir Elrufai lied and that the Jonathan administration spent only N333, 600, 000 for four years to hold independence day celebrations. An amount that is less than 1% of what Elrufai claimed was spent. As I write this to you, Nasir Elrufai HAS NOT apologized for shy of these strings of lies! Yet, this is the same Elrufai that has now instigated the arrest of Audu Maikori for allegedly inciting the public by spreading lies. This the biggest act of HYPOCRISY I have seen and I urge you my reader to individually Google these tweets and facebook posts. Do not take my word for it. When a man who has a history of falsely attributing such deviousness to Christians (as he did with his September 18, 2014 tweet accusing Christians of being behind Boko Haram) becomes Governor of a state, should we be surprised at the fate that has been visited upon the Christian people of Southern Kaduna? If you can believe that Christians were behind Boko Haram to "tarnish the name of Islam" as he himself tweeted, who can tell what he would do to get revenge on them when he finds himself in a position to do so as Governor? If without power Nasir Elrufai showed open bias for the Fulani people as he did in his tweet of July 15, 2012, can any reasonable person expect him to be objective while he is in power? That would be like expecting a man who cannot keep his hands off a woman when he is dating her to become chaste with her after he has married her. It is not possible! Knowing the manipulative tendencies of Nasir Elrufai and his Machiavellian, the end justifies the means approach to power, I will not be surprised if he starts sponsoring articles against me as a Fulani hater, so let me be preemptive. I love the Fulani. They are perhaps the most beautiful Black people on planet earth. I am now a pastor and have been faithfully married for the last thirteen years to the same woman who I expect to stay married to until Jesus returns or I die, but before then I was in a relationship with a Fulani from Taraba state. I do not need to go into too much detail but suffice to say that I did what most young people would do in a relationship (this was before I re dedicated my life to Christ). In the course of that relationship, I visited and spent time in Taraba, in Gembu and Nguroje to be specific. My time was spent with a beautiful clan of Fulani people who would not have minded having me as an in-law. They taught me some Fulfulde and I remember them and my time with them with nostalgia. I still have pictures from that time. There is no way I could have gotten so close to the Fulani and even contemplated becoming their in-law if I did not and do not admire them. Moreover, perhaps my best friend while I was in Law School (1999-2000) was Abbas Ibrahim, a pure Fulani from Maradun in Zamfara state who now works in the Federal Ministry of Justice, Abuja. This article is not targeting the Fulani. No. rather, it is identifying one of them who has, perhaps more than anybody else in Nigeria today, sown seeds of discord, hate and division by his words, actions and writing. Nasir Elrufai is not an example for Fulatanci and this may explain why he tries so hard to show loyalty to virtues and traits that are a given to the well brought up Fulani I have come to know and respect intimately. His Pulako is doing great harm to the Fulani Peoples of Nigeria. Finally, let me end this piece by saying that I was so glad to hear President Muhammadu Buhari's voice as he spoke to Governor Ganduje of Kano state the other day. I hope by this call, people can leave the man to "rest" in London and not disturb him with their eye service visits to him. To those who have done so and to others who are contemplating doing so, I hope and pray you get treated like the Guardian Newspaper reporter who was almost arrested when the residents of Abuja House (President Buhari's current residence) called the police to help get rid of him. But just in case you do not get arrested, permit me to write a new version of an Old Nursery Rhyme for you. 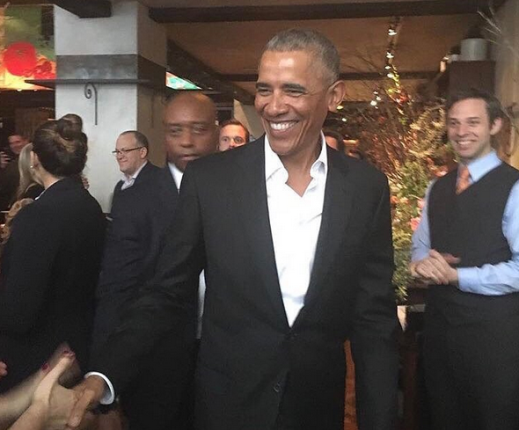 Sycophant, Sycophant, Where Have You Been? I've come to realize that we ladies do a lot just to keep a man and get married . How long will we continue to cover up the flaws we notice while dating all because we want to get married at all cost? And in the end, we still end up being hurt. 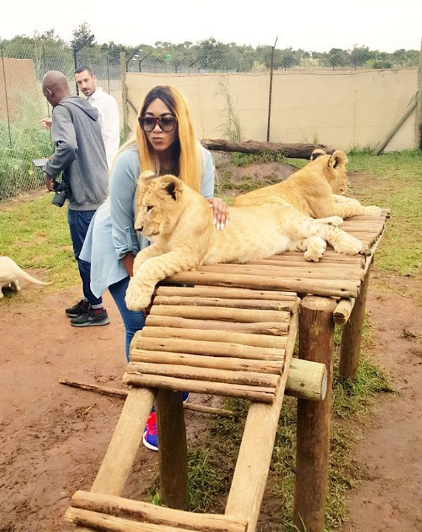 Celebrities display the 'perfect life ' on social media and make young ladies waste time waiting for a ready made man. If you've been in a 1 year relationship and your boyfriend has never spent a dime on you, ask him for money even when you know you have money to sort out yourself. If you don't ask, how will you know if you're dating a stingy man? 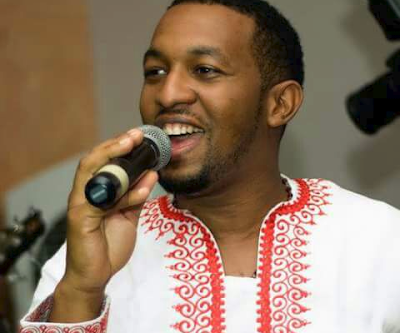 Gospel artiste, Eric Arubayi, who passed away on Saturday February 11th, will be buried today February 25th. Eric is survived by his wife Chinonso, son, parents and siblings. May his soul rest in peace, Amen. Guess the battle line has officially been drawn. 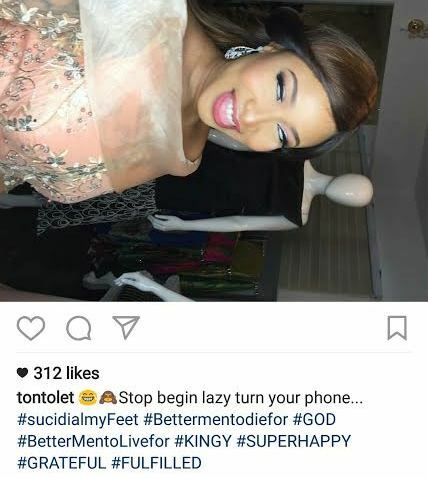 A few weeks after sending a letter of demand asking his estranged wife, Toke Makinwa to retract the words in her tell-all memoir, On Becoming, to stop the sale of the book, copies that haven't been sold should be retrieved and for her to tender an unreserved apology in several national dailies, which Toke, of course, ignored, Maje Ayida has instituted legal action against Toke, asking for N100million in damages over the book he claims contains defamatory words that do not represent his person. 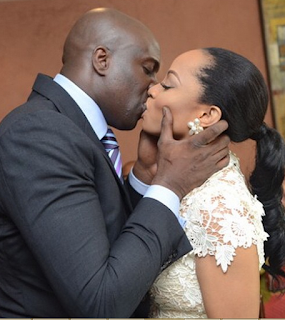 According to The Cable, Maje's lawyers began legal proceedings at Lagos High Court on February 7th. Toke's publishers, Kachifo Limited are also being sued alongside Toke. In his suit, Maje asked the court to donate any damages awarded him in the case to four charities which he will pick himself. Do you guys think Maje can win this battle?